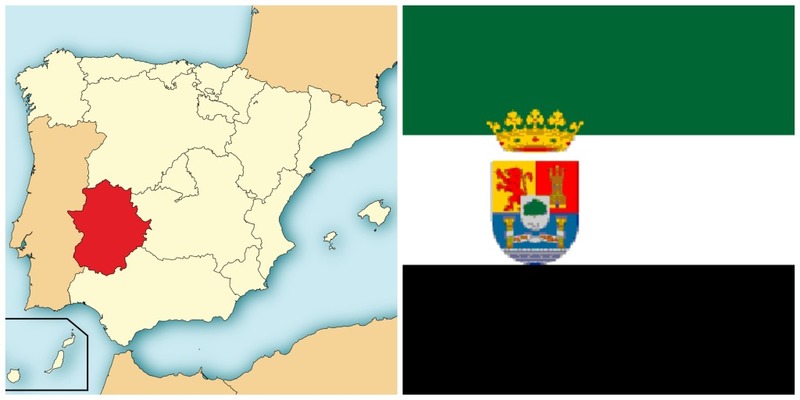 On my first visit to Extremadura in 2009, Tita explained the meaning of the comunidad to me: Extre because it’s extremely far west, cozying up to Portugal, and madura because the hardened plains shaped the conquistadores that grew up there. Extremadura is one of Spain’s best-kept secrets, and I sincerely hope it stays that way. It’s sandwiched between western Andalucía and Madrid and traversed by the A-5 mega highway, yet most tourists conveniently (and thankfully) leave it off their list. From hidden monasteries to a wine region you’ve likely not tried, these far-flung plains have the potential to attract visitors and their tourist euros. About Extremadura: Despite its reputation as a sleepy, sparsely populated corner of Spain, Extremadura has seen some of the most important developments of Spain, beginning with the Romans. Known back then as Luisitania, the capital of Mérida (then Emerita Augusta) was an important city for trade and culture. 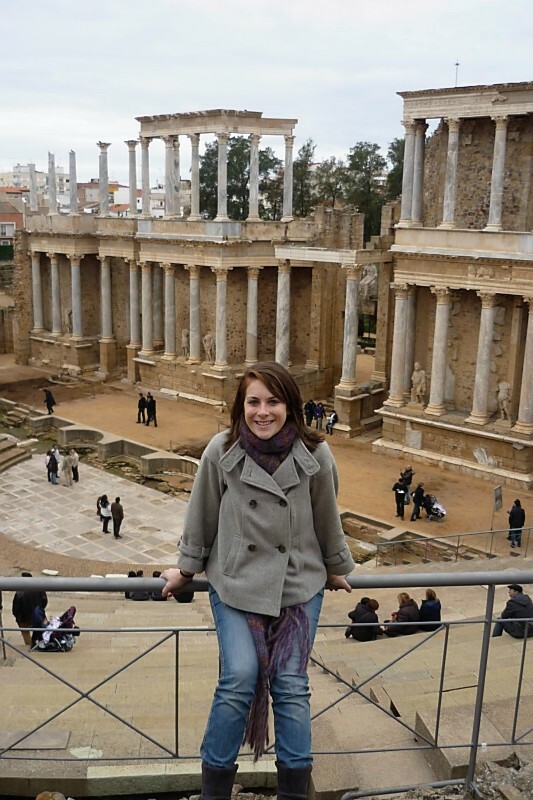 Roman ruins, like a beautifully preserved theatre and an aqueduct visible from the highway, rub elbows with the ubiquitous old man bars and banks in the administrative capital. 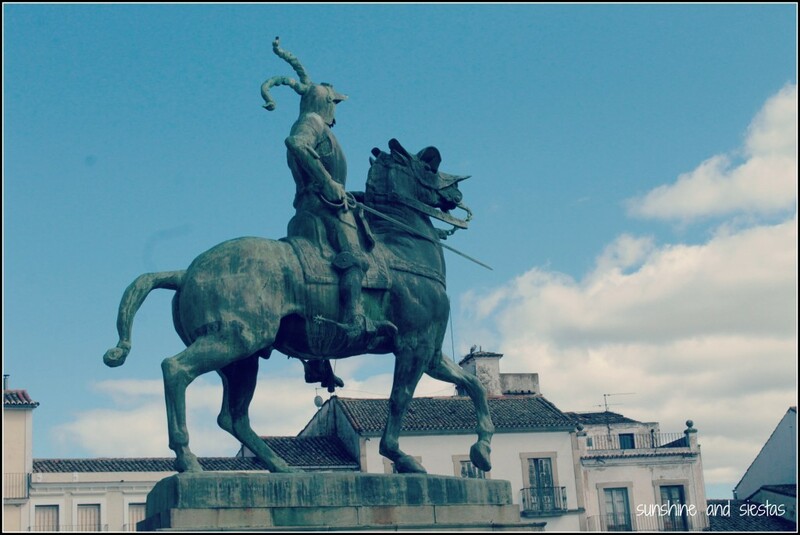 When the Muslims moved in during the first few years of the eight century, Mérida was one of the Caliphate’s most strategic regions due to its proximity to Portugal. The Córdoba Caliphate fell three centuries later, and power was jockeyed to the Taifa of Badajoz and remained under Muslim rule until 1230. During Spain’s golden age, Extremadura took its place in the sun: not only did it produce a great number of conquistadores like the Pizarro, Hernán Cortés and Núñez de Balboa, but a great deal of the riches that arrived from the new world never made it to Madrid, finding a permanent home in Extremadura. Nowadays, the region is famous for its cork production and acorn-fed ham, as well as outdoor wildlife areas. If you’ve never heard of it, there’s little surprise. Must-sees: Extremadura boasts dozens of hidden gems. I say hidden because of the province’s network of lonely highways, many of which curve through mountains and around man-made lakes. Given its crop of conquistadores, you’ll likely see places that share a name with South American cities – Valdivia, Medellín, Orellana – and the medieval cities seem to be living back in time. Mérida’s Roman Ruins are recognized by UNESCO, and the city houses an excellent museum with artifacts from Lusitania. 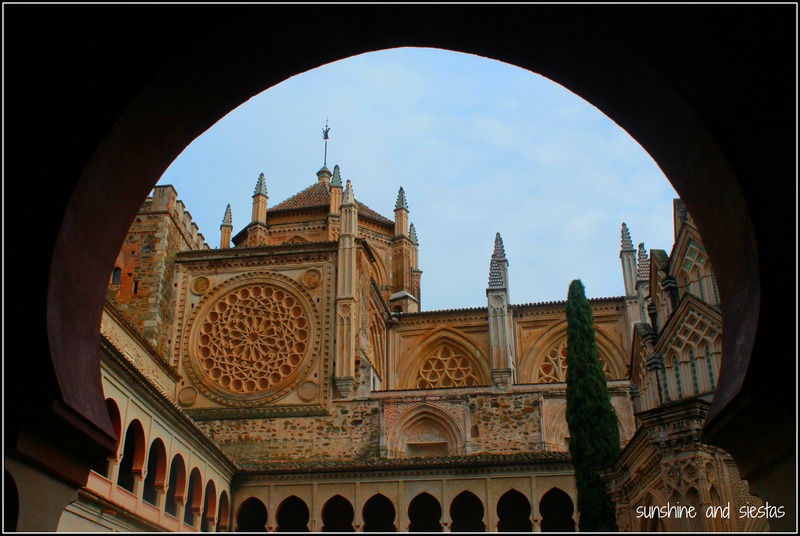 At just two hours north of Seville, it’s beyond easy to get to, and castles and monasteries pop out along every curve. Cáceres’s elegantly preserved walled city is also a UNESCO site whose mix of Roman, Moorish, Gothic and Renaissance architecture is unparalleled and worthwhile, and I swooned over Trujillo‘s stone churches and Renaissance palaces. On a whim, the Novio and I also went to see the Guadalupe Monastery (surprise! Also a World Heritage Site) and visited the charming little town of Garganta la Olla. I also love the names of towns, which pay homage to famous residents or local lore. Food is a big deal in Extremadura, particularly big game, cheese and wine. You can expect huge portions of tender meats from pigs, cows and wild boar, as well as pheasant and quail. As a matter of fact, much of the Extremaduran plains are perfect for birdwatching (and protected! ), and the national park of Monfragüe is home to several rare breeds. But, if you’re like me, you’ll choose a robust glass of Ribera de Guadiana to wash down your migas, or fried breadcrumbs, and stinky Torta del Casar cheese. Paprika is also produced in the cherry tree-dotted foothills of La Vera. One thing you could skip? The Holy Roman Emperor Charles V’s last residence, Yuste, was a big (and expensive) letdown. My take: Sharing a border with occidental Andalucía, Extremadura is closer than my go-to destinations like Granada or Málaga. Its stark plains, hollow sky and long stretches of highway are similar to my surroundings, with blips of civilization on lone roads. What really draws me to Extremadura is that it hasn’t experienced the heavy tourism that the coasts and bigger cities have, meaning it’s Spain Spain. From the warmth of locals in teeny towns to the cheap prices and filling meals, I’m a pretty big proponent for Tita’s Extremadura. Have you ever been to Extremadura? What do you like (or not) about it? My boyfriend’s uncle lives in Extremadura and he always has an abundance of those cheeses, wines and meat you spoke about. Suppers he attends leave us VERY well feed. Tito sounds like he’s got priorities when it comes to food! I also want to visit all of Spain’s 17 regions. I am doing pretty well (okay, I have an unfair advantage because of my job, but still!) although I have never been to Extremadura. 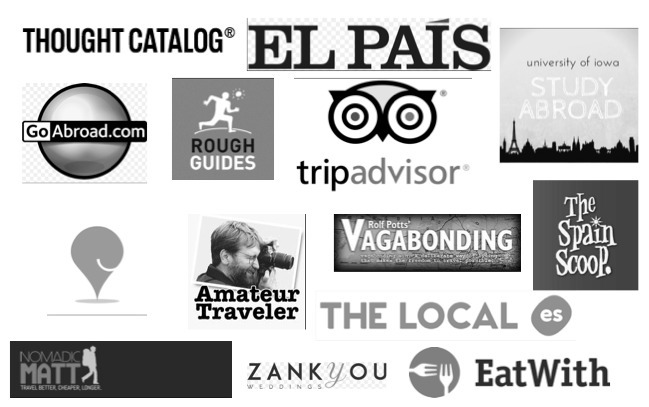 I plan to go sometime in 2015, and tick of the final few regions that I haven’t yet visited in Spain. I also like the idea that it hasn’t experienced mass tourism like other places in Spain. 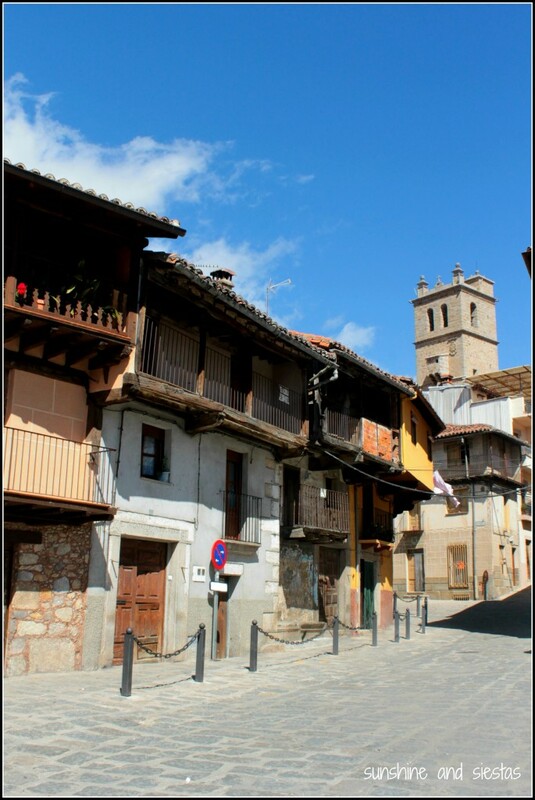 I’m sure you heard that Cáceres is an upcoming foodie region, so you’ve got extra reason to! In all fairness, the region is much more accessible to me (in fact, La Rioja was the last I visited for the same region!). If you end up that way, get in touch! Aaaaaaand I’m still regretting only spending 2 nights in Mérida two years ago I should have at least stopped in Cáceres when I had the chance; Extremadura is just so hard to get to as the high-speed train is still in construction through the region. The little I saw of this history-rich region in Mérida and on the train I really enjoyed, and it felt like the “Wild West” of the country to a certain degree with the lonely plains, rugged mountains, and hearty inland food. Your friend Tita’s explanation of the region’s name gives me yet another (folk?) etymology to add to my collection; I’ve also heard that the name comes from Extrema + Dura, as in “extremely hard” or rough to endure. The most likely etymology I’ve come across is that it’s simply the region “beyond” the “Duero” River (Extrema + Duris), the Latin name for the border region that was shared with Portugal (which has its own central-coastal Extremadura) during the Reconquista. Can I say that I’m bummed to think you won’t be sharing more tidbits come summer?! For real, it pains me! Hope you squeeze a quick trip to Extremadura in, even via Bla Bla Car. It goes without saying that it’s worth it! I may yet have to squeeze in a weekender to Cáceres (and maybe Trujillo/Guadalupe) before I fly back home in June…we’ll see! BTW I was just reading the Wikipedia page for Soria (long story) and come to find out the city’s motto is “Pura Cabeza de Estremadura”…crazy! You’re right, Alan – the explanation I got was from a pueblerina, and I found it endearing! 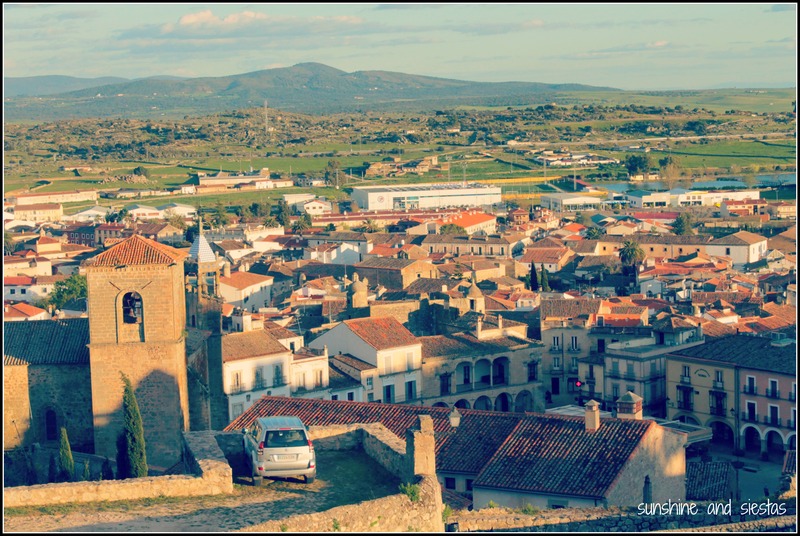 Extremadura is ‘secret Spain’ and as a Brit who moved here in May 2015 (Mérida), I am happy to keep it that way Having said that, it’s difficult not to mention the abundance of culture and exploration available here.